API Pneumatic UK is one of a select number of companies able to supply our own line of stainless steel pneumatic cylinders. 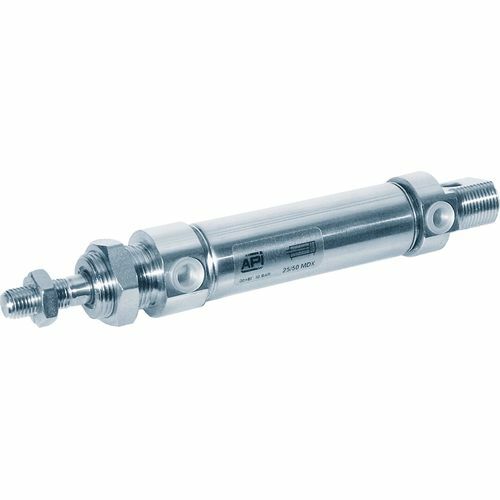 Constructed from the highest grade AISI 316 stainless steel, API stainless steel pneumatic cylinders offer the highest level corrosion resistance for the pharmaceutical, food, marine and oil and gas industries. Our products guarantee high performance, durability and reliability in extreme industries and environments. Our stainless steel cylinders are NSF Pre lubricated, making them suitable for non-lubricated compressed air systems and applications with low start up, ensuring low friction thanks to a permanent low friction film. Due to them being fully composed of non-toxic elements, API stainless steel pneumatic cylinders conform to FDA 21 CFR 178, making them safe for contact with food. Our stainless steel cylinders are magnetic as standard, providing numerous reed switch mounting options. Our stainless steel cylinders include adjustable cushioning, for a high cycle time and excellent shock proofing. The heavy duty polyurethane scraper ring is specially designed for the chemical, food and pharmaceutical industries; and have clean line end caps that eliminate contamination traps and ease cleaning. API stainless steel pneumatic cylinders also feature a removable nose seal housing on the end cap. The nose seal can be replaced with the cylinder mounted to the machine to reduce downtime. An FKM seal option is available for use in high temperature environments. ATEX standard versions of our stainless steel pneumatic cylinders are also available for use in high risk explosive areas. Our AISI 316 stainless steel cylinders conform to ISO 15552 standard, which makes them fully compatible with competitor accessories. 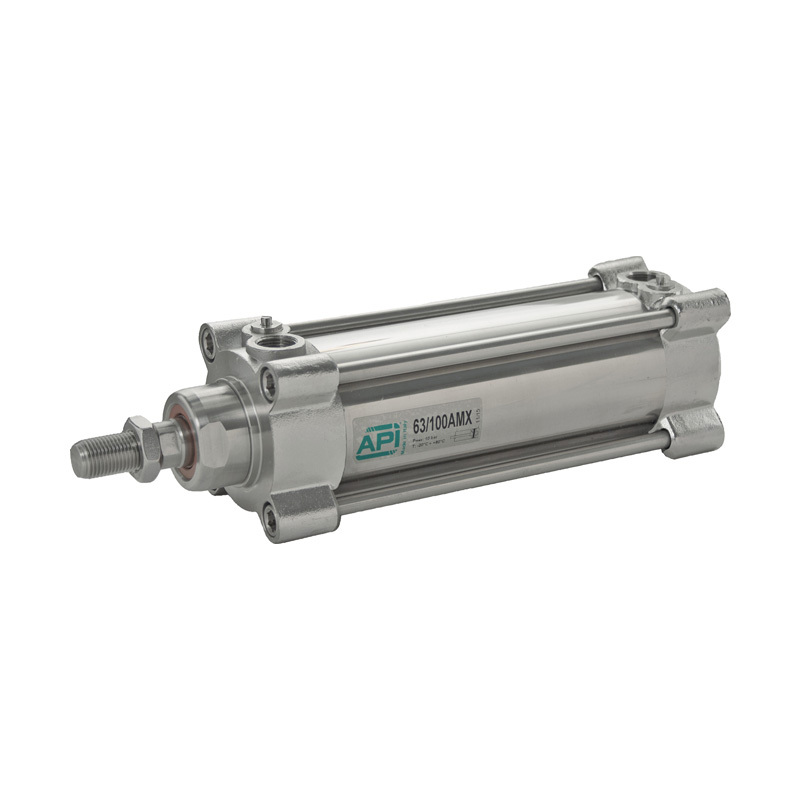 A stainless steel pneumatic cylinder provides a long-term alternative to cylinders that need constantly replacing due to corrosion. Investing in a 316 stainless steel pneumatic cylinder provides a cost-effective, corrosion-resistant alternative to replacing your cylinder multiple times a year. Our product selection ranges from double acting cylinders to ISO cylinders. Find the precise product for your application below. Talk to our technical experts today about our API stainless steel pneumatic cylinders and how they could be a worthwhile investment for your aggressive industry. Contact us today by requesting a quote, calling us on 01782 206 995 or email sales@apiuk.co.uk.